Our Gmail Chrome Extension lets you work out of your Gmail account to add and manage ActiveCampaign contacts, add contacts to automations, apply tags, create notes, and manage and create deals. Instead of switching between tabs to make changes in your ActiveCampaign account as you communicate with contacts, you can perform many actions in ActiveCampaign from the sidebar. Visit the extension's listing in the Chrome Store. A confirmation modal will appear. Click "Add Extension." You'll be redirected to a page asking for your ActiveCampaign account information. Enter your account URL, the email address you use to log into your ActiveCampaign account, and your ActiveCampaign account password. Navigate back to your Gmail account. You will see the ActiveCampaign logo by your URL bar. 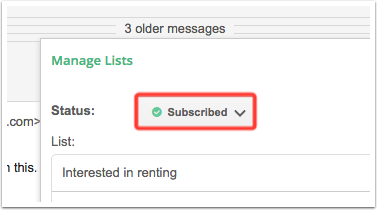 Clicking this will open a modal window. Users on Plus, Professional, and Enterprise plans will be able to create and manage deals. 1. Click the email they sent you in Gmail. This will open the Chrome extension in the right-hand sidebar. 2. Click the horizontal line that appears above their name. Their contact record will load in the sidebar. 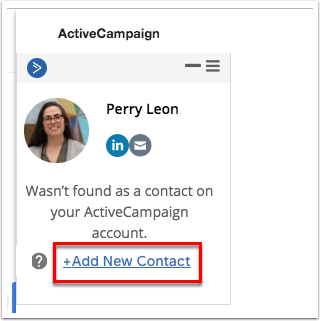 If the contact doesn't exist in your ActiveCampaign account, you can click the "Add new Contact" link to add them right from your Gmail account. Available on Lite, Plus, Professional, and Enterprise plans. 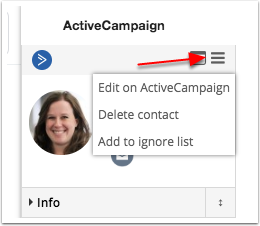 If a contact has been added to your ActiveCampaign account, you can add or remove that contact from a list right from your Gmail account. To do so, click "Lists" then click the "Add" button located in the “Info” section. If a contact has been added to your ActiveCampaign account, you can add that contact to an automation right from your Gmail account. 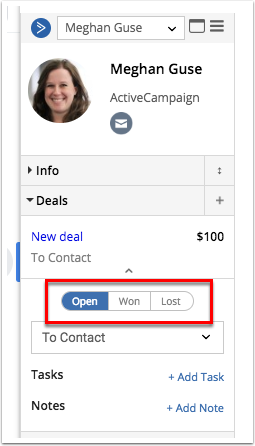 If a contact has been added to your ActiveCampaign account, you can add and manage their deals from your Gmail account. This helps you consolidate communication, create tasks that will move the deal forward, and track the deal through the stages of your sales process. 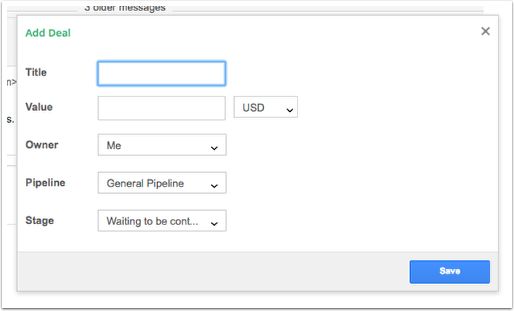 Click “Save” to add the deal record to your pipeline. After you've created the deal record, you're able to perform a variety of actions within Gmail. You can move the deal to another pipeline stage by clicking the name of the stage. This will display a dropdown menu of your pipeline's stages. Select the stage you want to move them to. 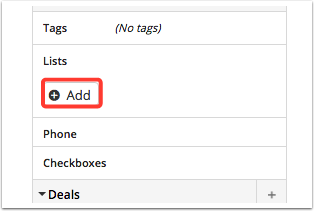 To add notes to a deal record, click “Add note,” enter the note into the text field that appears, and click “Add” to save it. You can select an email address from anywhere on the internet to display a contact's information. If they don't yet exist in your ActiveCampaign account, you can add them instantly. You can use the ActiveCampaign Google Chrome extension to track opens for your Gmail messages. All tracked emails will display the ActiveCampaign logo right in your inbox, and show you the number of times a particular email was opened. Untracked emails will not display the ActiveCampaign logo. 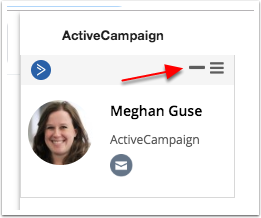 To see when a tracked email was opened by a contact, you'll need to navigate to that contact's profile page in your ActiveCampaign account and click the "Emails" tab located under "General Details."